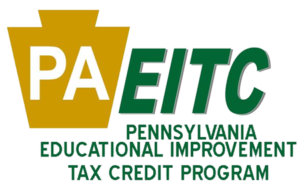 Through the Diocese of Erie, St. Francis School participates in the Pennsylvania Educational Improvement Tax Credit program, which provides tuition assistance to many of our students. This program allows some types of businesses to claim 75% to 100% tax credit on their state taxes for donations given to St. Francis School. We encourage all eligible businesses to please support our school through this program. To learn more, contact your accountant or click here for information online. You may also call the school at 814-765- 2618 and we can explain this program to you in more detail.